As you’ve no doubt already heard, on Wednesday, October 17th, cannabis was officially made legal in Canada for recreational use. While this all may seem pretty straightforward, it’s still worthwhile to explore the various impacts this will have on both Canadian and US citizens. Before you plan your trip over the border or encourage your friends up north to partake in all the fun, make sure to be well-informed about all the details. Regardless of which province they resided in, Canadian citizens lined up to try legal cannabis on the 17th. However, there are provincial differences on when and where one can legally use cannabis. Smoking cannabis while driving will always be illegal, but otherwise public use is still a gray area in some places due to vague legal wording. It may take some time to sort out, so visitors to Canada should be cautious with how they use cannabis. Nonetheless, in other provinces residents could be seen smoking in the streets and even passing joints to each other even in the presence of law enforcement without any consequences. Supply and distribution also varies widely between all the different provinces. In some the minimum legal age is 18, while in others it is 19. Furthermore, recreational programs involve some combination of government e-commerce websites, attachment to government liquor programs (similar to ABC programs in the US), privately owned storefronts, and licensed producers. It will be exciting to see which combination of the above components is most successful in Canada and if other provinces evolve over time. It’s not just Canadians that will be getting access to more cannabis, but Americans as well. Don’t get too excited just yet – this is only for the purpose of research at the University of California’s San Diego Center for Medical Cannabis Research. A company called Tilray Inc. will be providing them with CBD and THC capsules to conduct studies on. It may not be much, but it’s an important first step forward in allowing more research for cannabis. The US is unfortunately still far behind other countries in this area, and pales in comparison to Israel. 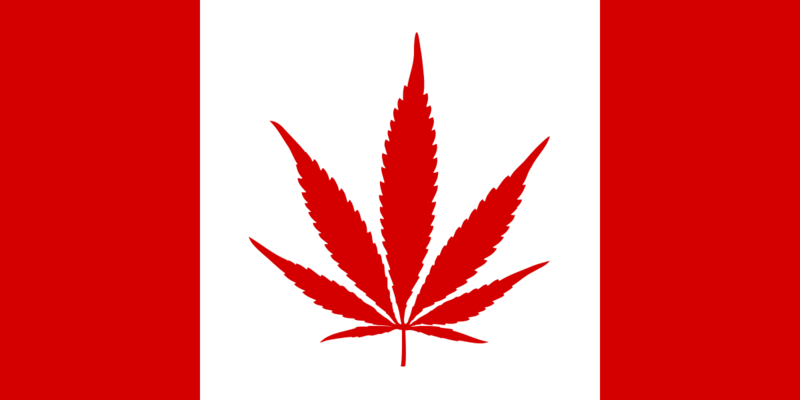 Relaxing some rules for allowing cannabis across the border doesn’t mean things won’t remain strict for Canadian citizens themselves. In fact, Canadians are even being asked at the US border whether or not they have used cannabis before or ever done business related to cannabis. This kind of questioning was rarely done in the past, but has become much more frequent leading up to, and after, legalization. Some officers will use intimidation tactics where they threaten illegal drug tests or lie-detectors to trick people into admitting to cannabis use when they don’t have to. This could then lead to a lifetime travel ban, so make sure your Canadian friends are aware of this next time they visit. In some provinces, people are protesting the legalization of cannabis, but not for the usual reasons you might expect. These people are actually quite content with legalization, but they want it done in a responsible way that benefits medical patients and small business owners. Some dispensary owners from before legalization have had to temporarily shut down their businesses while the government takes over the distribution of cannabis. People who had used it for medical purposes before October 17th don’t seem to be getting any consistent legislation to ease their access to high quality products or reduce their costs in all of Canada. As Americans, we should also watch how this program develops and examine it’s growing pains so that we when the time is ripe for us we can push for the best possible program. Recreational use should not be overly regulated or restrictive to small businesses. On the other hand, laws should be put in place to make access to the highest quality products easier for medical patients. Ideally, even health insurance companies should be required to cover certain cannabis products for specific conditions. Hopefully as the Canadian program grows, it provides a good example for America to learn from. Green Health Docs will continue to research Canada’s developing program and will update our patients and readers as more information becomes available. We also regularly post educational and informative blogs in response to our patient’s most frequently asked questions, as well as on Facebook and Instagram. For more information on becoming a legal medical marijuana patient or if you have a specific topic you’d like us to cover, please call or text us at 240-356-1000 (Maryland) or 614-269-3085 (Ohio). Have You Heard of These Lesser Known Cannabinoids?